We still don’t know what was behind the killings at Fort Hood this afternoon, in which 11 soldiers and the killer died, but President Obama’s rushed press conference was surprising in its flippancy nonetheless. Before he got to the issue on everyone’s mind â€” namely the deaths of Americans in uniform â€” the president gave a “shout-out” to government bureaucrats gathered for a previously scheduled conference at the Interior Department, complete with appreciative chuckles. He treated the event like a pep rally rather than a tragic occasion with a wider audience than those gathered in the room. Well, yeah, after seeing the tape I confess wondering if anyone could possibly be more tone deaf than the Chosen One. I have my problems with Chavez, particularly her stands on immigration. But she nails it here, I think. David has vid here. And a decent comparison, too of a real leader reaction to such a situation. Do you begin to understand what a terminal loser the Democrats have foisted off on this country? Maj. Nidal Malik Hasan, the alleged shooter in yesterday’s massacre at Fort Hood, played a homeland security advisory role in President Barack Obama’s transition into the White House, according to a key university policy institute document. This strikes me as both less and more of an issue than Corsi makes it. In this case, less because his role was apparently minimal. More because he was a part of the thing at all seems a security breech of the first order… and one we allowed so as not to ‘profile’. Politically correct nonsense, again. Given the story above, and how tone deaf he was in that press conference, doesn’t it strike anyone that our government seems awfully accommodating to allow Hasan anywhere near the security arrangements. Amazing, I think to compare what our government is and is not tone deaf about. 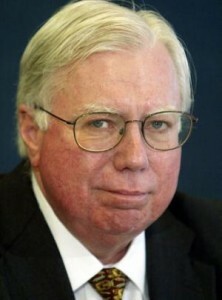 By the way, if you’re going to complain about Corsi as a source, perhaps seeing the document for yourself will help? ARE YOU A CITIZEN? Harry Ried has managed to block a Republican attempt to require the next cen sus forms to ask people whether they are a U.S. citizen. Now, why would he do that, I wonder? THE REBELLION IS ON: John Boehner was at the rally I’d posted this pic of yesterday. There’s vid here. You know, maybe the GOP leadership is starting to hear the screams from the rank and file after all. I’ll be writing to this anger this weekend at Pajamas Media. Watch for it. Now, the reason I linked Lindsay Graham’s comments to the protest should be fairly clear… the contrast between Graham’s comments and Boehner’s couldn’t be more stark if they’d tried. There’s hope yet, scant though it be that the party can be reclaimed. Here’s where did this so as not to offend The One, but the fact of the matter is this is as close as anyone on the Democrat side has gotten to the truth since the start of this fiasco a year ago yesterday . This has nothing to do with the needs of the people, but rather it has everything to do with the political needs of Obama. That out in the open, you can expect the defections in Congress to start piling up in an even faster rate than they already have been over this Healthcare nonsense. Does anybody still think that they’re going to manage to get this thing passed by the end of the year, or for that matter, by the end of next year? SPEAKING OF HEALTHCARE: Byron York is suggesting that House Democrats are now caught in a choice between dealing with the Democrat establishment and the wrath thereof , (particularly Nancy Pelosi) or voter backlash. Given the vote on Tuesday, this seems rather obvious comment, but the implications of it go far deeper. It also seems to me that Robert Reich’s comments will give democrat congressman some cover for the emergency bailout procedure. I will guarantee you that there are a number of them that will take it. DATAPOINT: Powerline notes that more Democrats watch Fox than MSNBC and CNN combined. Gee,w hat was I just saying at OTB the other day? 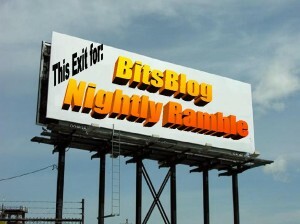 BITSBLOG BUMPER STICKER OF THE DAY: is available here.